KROHNE, Inc. announces that it has begun manufacturing the updated OPTIMASS 1000 Straight Tube Coriolis Mass Meter at its newly opened state of the art flow and level instrument manufacturing and calibration facility located in Beverly, MA. OPTIMASS 1000 is designed for exceptional measurement capabilities with the flexibility and options of high-end meters, at a competitive price. 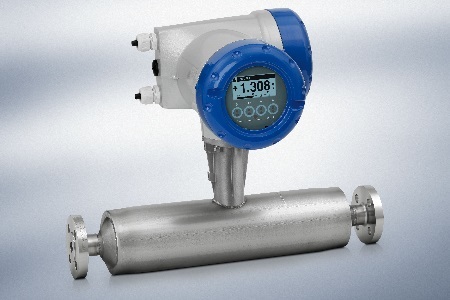 The OPTIMASS 1000 is well-suited for a variety of industries, including the chemical, petrochemical, food and beverage, water and pharmaceutical, and can operate reliably between -40 and 130° C.
KROHNE is a worldwide technological leader in the development, manufacture and distribution of accurate, reliable and cost-effective measuring instruments for the process industries. KROHNE focuses on forming partnerships with its customers to provide them with the most reliable and innovative solutions available in the marketplace. For more information, visit www.us.krohne.com.